Here are the list of all the federal, state and private polytechnics in Nigeria. Below are the list of all the Polytechnics acceredited by National Board for Technical Education (NBTE) in Nigeria. It includes all the accredited Federal, State and Private Polytechnics in Nigeria. We will keep updating this list as soon as new polytechnics are created. Federal Polytechnic Ado Ekiti, Ekiti State. Federal Polytechnic Bali, Taraba State. Federal Polytechnic Bauchi, P.M. B 231, Bauchi State. Federal Polytechnic Bida, P.M.B 55, Niger State. Federal Polytechnic Damaturu, P.M.B 1006, Yobe State. Federal Polytechnic Idah P.M.B 1035, Kogi State. Federal Polytechnic Ilaro, P.M.B 50, Ogun State. Federal Polytechnic Kaura Namoda, P.M.B, 1012, Zamfara State. Federal Polytechnic Mubi, PMB 35 Mubi, Adamawa State. Federal Polytechnic Nasarawa, P.M.B. 01 Nasarawa State. Federal Polytechnic Nekede, P.M.B 1036, Owerri, Imo State. Federal Polytechnic Offa, P.M.B 420, Kwara State. Hussaini Adamu Federal Polytechnic, P.M.B 5004, Kazaure Jigawa State. Waziri Umaru Federal Polytechnic, P.M.B. 1034, Birnin Kebbi. Yaba College of Technology, P.M.B. 2011, Yaba, Lagos State. List of State Polytechnics In Nigeria. List of Private Polytechnics In Nigeria. Shaka Polytechnic, No1 Prince Shaka Momodu Street, Ogiso, Off M.M. Way, P.M.B. 1240, Benin City, Edo State. Temple Gate Polytechnic, Abayi, Osisioma, P. O. Box 3448, Aba, Abia State. The Polytechnic, Imesi-Ile, Km 2, Imesi-Ile/Igbajo Road, Osun State. is shaka polytechnic in Edo state regonised and government approved ? @ Adebayo Omosomen, Shaka Polytechnic Benin City has been accredited by NBTE. Pls is there any private poly in ogun state or lagos selling their form? @Chichi emecheta, Gateway poly is currently selling form. Is gateway polythecnic a federal,state or private poly? And is it well recgnise? @Opeyloo, the institution is owned by Ogun State Government. @Justice, National Metallurgical Training Institute, Onitsha has bee n certified by NBTE. @Lily, there is no private Polytechnic in Anambra. Can I use interlink polytechnic Hnd certificate for direct entry into 300level in any university in nigeria? Ples I need full answer, God blees you. @Cornelius, yes, Interlink is NBTE certified. please is kaduna poly hnd form (regular) still on sale. Or any other state or federal poly that their hnd form has not closed. @oluwaseun, Ronik Polytechnic, Lagos is recognised by NBTE. @harrison, Delawares Institute of Technology, Surulere, Lagos State is recognised by NBTE. Plz University can i use heritage poly certificate 2do PGD in Computer Engineering. @Peter , yes you can. Plz is heritage polytechnic certificate recognized n can sm1 use dia ceritficate n do PGD in any university in nigeria. @Peter, Heritage Polytechnic is recognized and approved by NBTE. 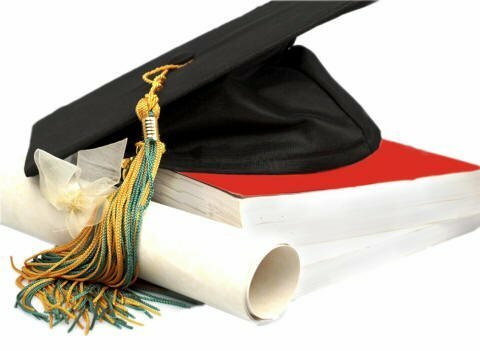 has auchi poly been accredited? @Prosper, Yes, the polytechnic has been accredited. Pls when the remaining list of admision will be released. ikare city polytechnica,is their certificate recognised for further addmission into university? @kellyhilly, as at the time of this publication, Ikare polytechnic is not recognized by the National Board for Technical Education. So that implies that their certificates are not recognized. Thanks for the info, its great job. Pls is Igbajo poly certificate recognised? Dr course’s Accredited? Kemi, Igbajo Polytechnic certificates are recognized. Joshua, as long as it approved by NBTE. But we apply 4 federal poly nt private poly hw cn we be givn admission in to a pivate poly. Pls i ned studt help pls. ifeoluwa, D.S. Adegbenro ICT Polytechnic in not a private polytechnic. olaitan, D.S. Adegbenro ICT Polytechnic is an Ogun State Owned Public Institution, accredited by NBTE and properly enlisted with JAMB for admission purpose. Ikare polytechnic is not recognized by the National Board for Technical Education. Chinenye, OSISATECH is a polytechnic. Tammy Okpokiri, go to NBTE website at http://www.nbte.gov.ng/institutions.html to confirm that. Omonwin, go to NBTE website at http://www.nbte.gov.ng/institutions.html to confirm that. Agatha, Our Saviour Institute of Science, Agriculture and Technology (OSISATECH) website is under construction. Go to OSISATECH campus in Enugu for more updates. EDEPOLY is in Osun State not ENugu. Yommy, yes you can, but you will need to apply through JAMB. D. s. Adegbenro I.C.T polytechnic. plz is it real? will there certificate be recognized in Nigeria? @adedeji, D.S. Adegbenro ICT Polytechnic is an Ogun State Owned Public Institution, accredited by NBTE and properly enlisted with JAMB for admission.